Nailing the beloved R&B group's iconic moves was no easy feat. Part one of BET’s The New Edition Story miniseries on Tuesday night received tons of praise from fans and the iconic group themselves. It’s safe to say the show is a hit. And the cast definitely deserves the love they’re receiving. The kids playing young Michael Bivins, Bobby Brown, Ricky Bell, Ralph Tresvant, and Ronnie DeVoe actually sing and dance while performing during those flawlessly choreographed scenes and so did the older cast members, who stopped by ESSENCE to dish on the sweat that went into nailing those moves. Elijah Kelley, Luke James, Bryshere Y. 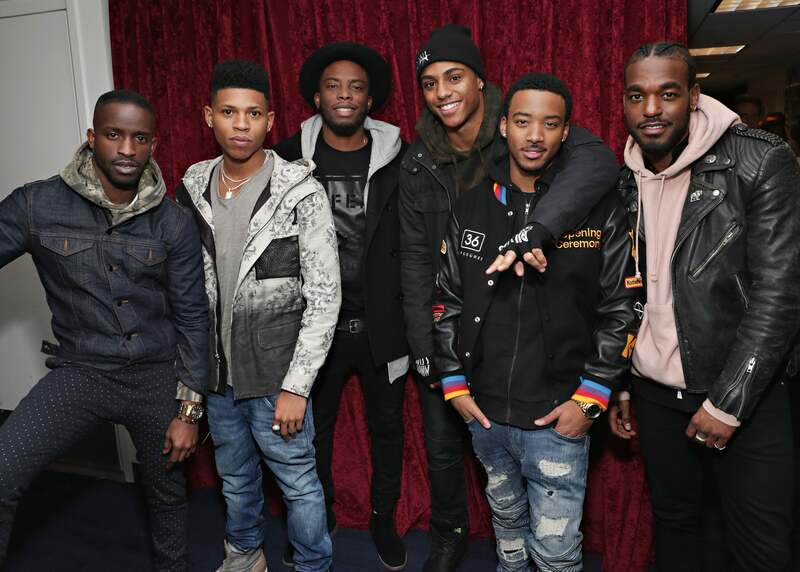 Gray, Woody McClain, Keith Powers, and Algee Smith––Ricky, Johnny, Michael, Bobby, Ronnie, and Ralph, respectively––spent weeks perfecting their moves alongside the real members of New Edition and their manager Brooke Payne, who is exactly the person he is in the miniseries. “What they went through, we went through. Imagine this room, you turn all the air conditioning off, there’s cigarette smoke, he [Brooke] isn’t answering any questions, just do what he tells you and be there,” Luke told us, adding that often there was no music and the guys had to listen to each other’s steps to get it right. We won’t be trying the mustard trick, but we will be tuning in for part two of The New Edition Story tonight at 9 p.m. on BET.